In a 32-page report that can be downloaded free of charge from Environmental Health Perspectives, the researchers said: “A recent report from the U.S. National Research Council (NRC 2006) concluded that adverse effects of high fluoride concentrations in drinking water may be of concern and that additional research is warranted. 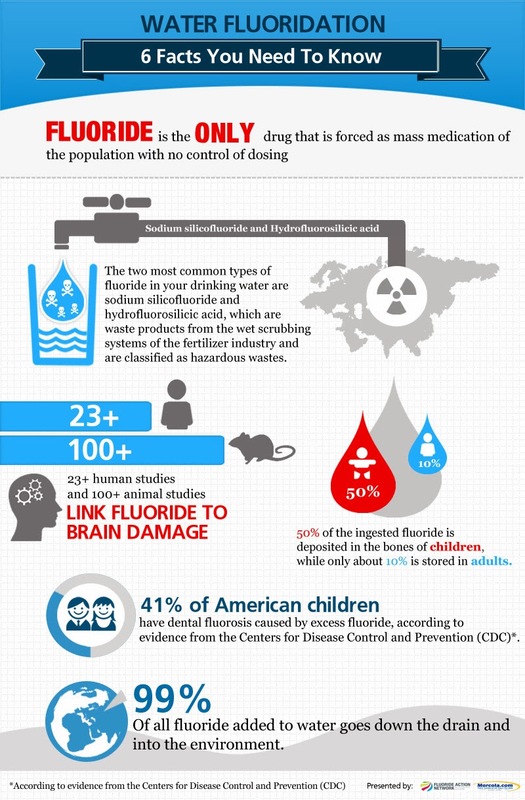 Fluoride may cause neurotoxicity in laboratory animals, including effects on learning and memory. To summarize the available literature, we performed a systematic review and meta-analysis of published studies on increased fluoride exposure in drinking water and neurodevelopmental delays. We specifically targeted studies carried out in rural China that have not been widely disseminated, thus complementing the studies that have been included in previous reviews and risk assessment reports. Findings from our meta-analyses of 27 studies published over 22 years suggest an inverse association between high fluoride exposure and children's intelligence … The results suggest that fluoride may be a developmental neurotoxicant that affects brain development at exposures much below those that can cause toxicity in adults. Serum-fluoride concentrations associated with high intakes from drinking-water may exceed 1 mg/L, or 50 Smol/L, thus more than 1000-times the levels of some other neurotoxicants that cause neurodevelopmental damage. Supporting the plausibility of our findings, rats exposed to 1 ppm (50 Smol/L) of water-fluoride for one year showed morphological alterations in the brain and increased levels of aluminum in brain tissue compared with controls. Long-lost research linking fluoride to cancer has resurfaced in a Dutch film clip featuring Dr. Dean Burk, who in 1937 cofounded the U.S. National Cancer Institute (NCI) and headed its cytochemistry department for more than 30 years. 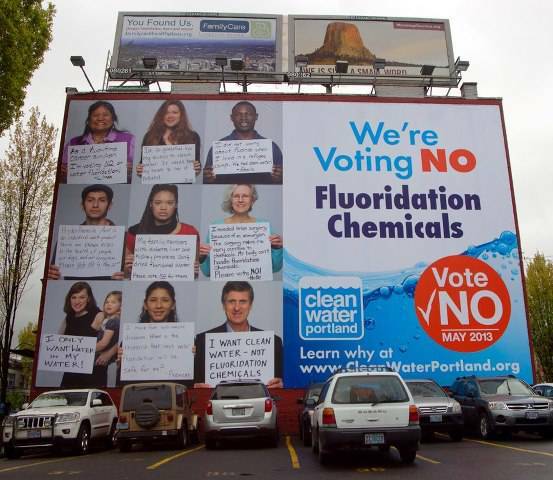 In the taped interview, he equates water fluoridation to “public murder,” referring to a study that had been done on the 10 largest U.S. cities with fluoridation compared to the 10 largest without it. 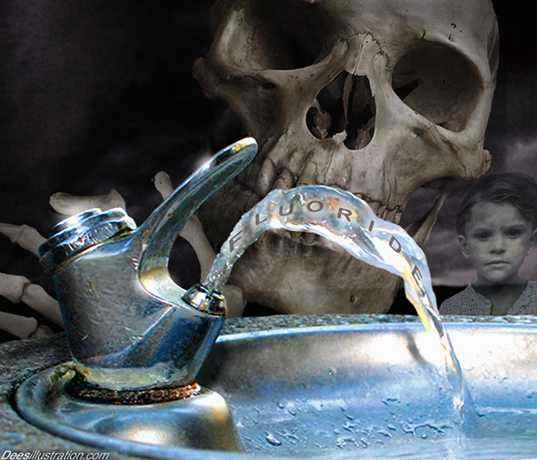 The study demonstrated that deaths from cancer abruptly rose in as little as a year or two after fluoridation began. This and other studies linking fluoride to cancer were government-ordered but were quickly buried once fluoride was found to be linked to dramatic increases in cancer.